To quote Jamie Dimon of JP Morgan Chase before Congress on June 13, 2012, "I believe in strong regulation, not necessarily more regulation". He also said continuing to add regulation on top of bad, ineffective regulation would just make it more complex and costly and less effective. That is the common sense approach, with out political maneuvering. People are concerned when they hear that Congress invites industry experts in to discuss development of laws and regulations for fear of watering down the law/regulation. So, that means they would rather have politicians in Congress who DO NOT understand the industry, develop a new law/regulation on their own? That hurts the industry, the economy and the employees and clients of the industry in question. If Congress is the "executive" representing the people of the US, they should use industry experts and make strong and proper executive decisions that create effective laws with positive results for the country. How bad will it get for the banks? The wheels of federal bureaucracy turn—and turn, and turn—but sometimes they stop. 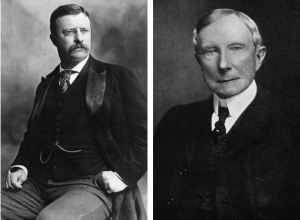 That’s why the Justice Department wants to bring to an end its breakup of Standard Oil Co., which started in 1911, along with its efforts to ensure competition in the markets for horseshoes and player-piano rolls. Only one Senate Democrat voted to repeal a car dealer con. The Senate on Wednesday voted 51-47 to kill the Consumer Financial Protection Bureau’s auto-lending rule, which was as much a referendum on Democratic identity politics as lawless regulation. Dodd-Frank explicitly prohibits the CFPB from regulating auto dealers. 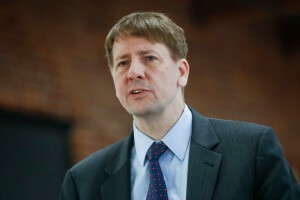 But former director Richard Cordray evaded the ban by regulating auto-financing as a way to dun dealers. He alleged dealers discriminated against minorities by charging them higher interest rates, though he had no proof since auto dealers are prohibited from collecting racial data. Can Model-Based Banking Regulations Achieve Financial Stability? Big Banks Paid $110 Billion in Mortgage-Related Fines. Where Did the Money Go?